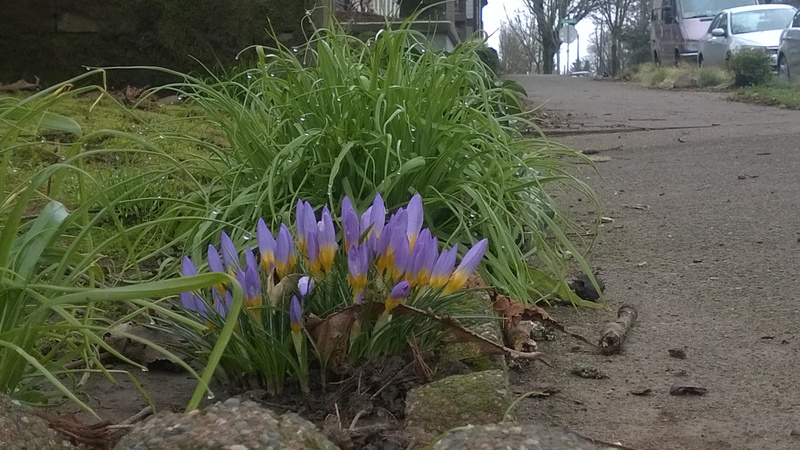 First Crocus I’ve seen this year! I found this wonderful flower bunch while walking down the street this morning. In fact, every year for the at least the last 3 years, this little bunch of flowers in this exact spot has been the first sign I see that signals the beginning of the Spring Flower season. Time to get my camera ready for picture taking. Why do I take pictures of flowers? Well, first, I just like preserving as many of the amazing varieties of flowers that are out there. But, secondly, for my 2 Quote A Flower blog. if you haven’t visited yet, you should check this blog out by clicking on the link above. In the mean time, please share with your friends, and prepare yourself for another season of flowers. Previous Calla Lilies in Winter!